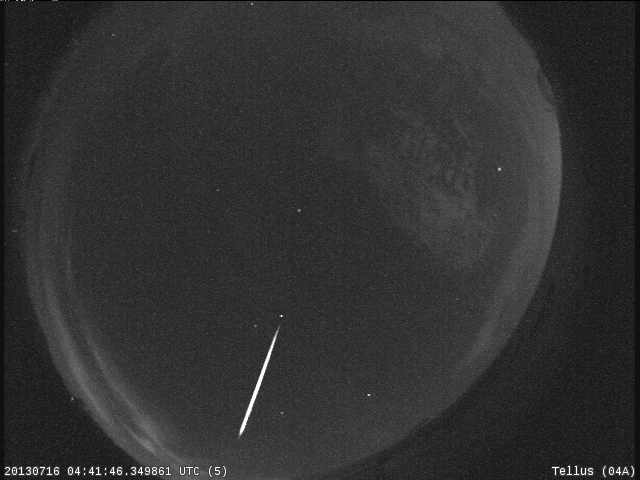 The American Meteor Society has received over 80 reports from the public about a bright fireball seen on July 13, 2013 at 04:16:18 UTC (corresponding to July 13, 2013 at 00:16:18 EDT). 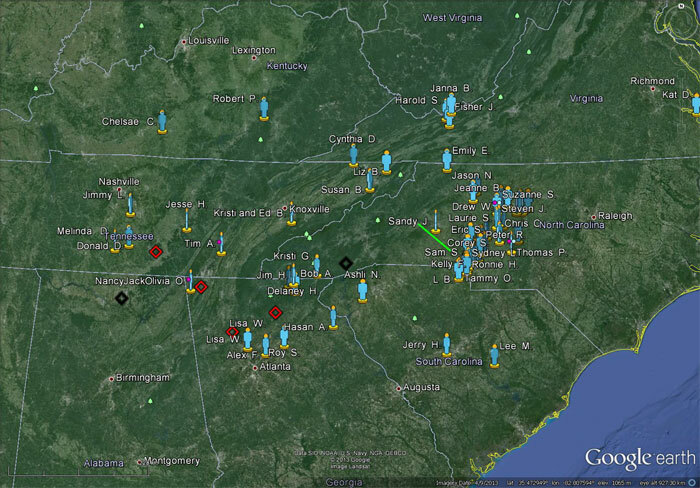 Fireball sightings range from Georgia and South Carolina up through Virginia, West Virginia and Kentucky, with most coming from North Carolina. The NASA All Sky Fireball Network detected this fireball with four cameras stationed in Chickamauga, Georgia, Tullahoma, Tennessee, Dahlonega, Georgia, and Cartersville, Georgia. The event was just on the edge of the field of view in each camera, but bright enough to get the attention of the NASA Meteoroid Environment Office in Huntsville, Alabama, the engineers who run the NASA Network. Preliminary analysis of NASA data indicates that this fireball came in at a speed of 28.1 km/s (62,900 mph) at an angle of 32 degrees from horizontal. The 600 g (1.3 lb) body was first picked up over Stanley, North Carolina at an altitude of 66.1 km (41 miles) and ablated most if not all of its mass away until it was last detected at 22.6 km (14 miles) over Morganton, North Carolina. 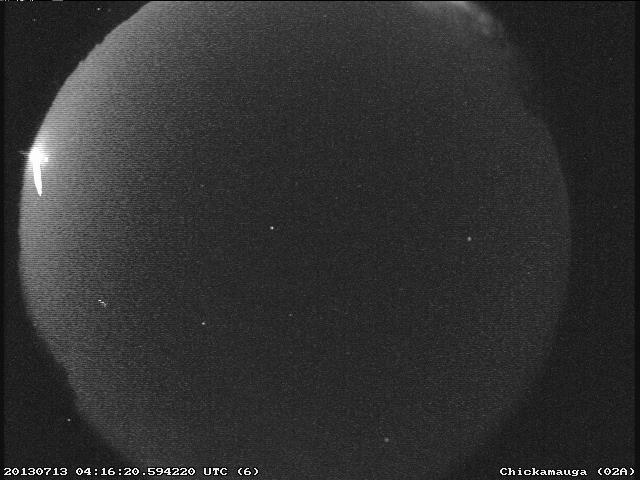 Quelle: NASA All Sky Fireball Network.